The petition, signed by architects across the country and submitted to the administration of Lam Dong Province, home to Da Lat, wants the authorities to reconsider the rationality and legality of the plan, province chairman Tran Duc Quan said. Provincial authorities unveiled a so-called urban beautification plan for Da Lat last month that will cover 30 hectares (74 acres), including some well-known attractions like Hoa Binh Theater, Da Lat Market, Xuan Huong Lake, and a French-era palace. The heart of the town will get a makeover with the Hoa Binh Theater, one of Da Lat’s most iconic buildings, being demolished to make way for a modern entertainment complex. The area near Da Lat Market, built in 1934, will get a shopping mall and underground parking lot. Dinh, the former provincial governor’s palace which was built in 1910, will be relocated to give space for a luxury commercial and service area. 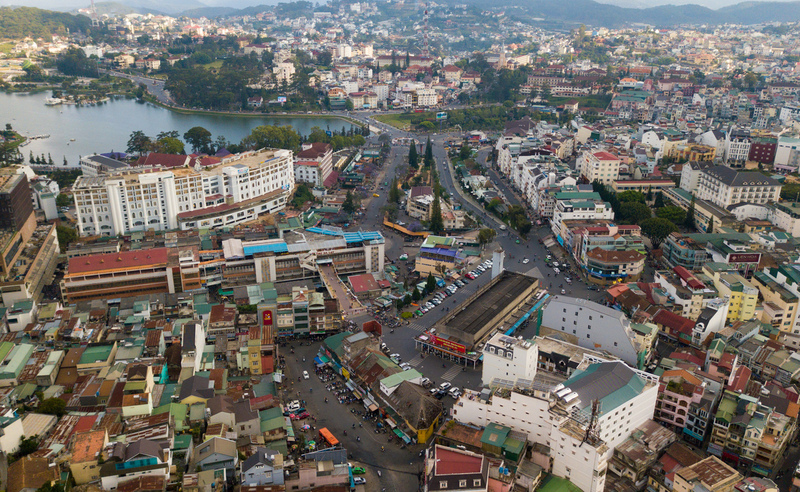 The petition says the plan is not appropriate for the natural landscape or history of Da Lat, which was developed by the French in the 19th and 20th centuries. The architects have also sent the petition to the Ministry of Construction, Vietnam Urban Planning and Development Association, Vietnam Association of Architects, and architect Ho Thieu Tri, the person responsible for the plan. It calls on Tri to scrap the plan and put his efforts into drafting a new one that will not destroy the image of the town or his reputation. Le Quang, a Vietnamese architect working in Switzerland, wrote to VnExpress that architect observers as well as architects who directly participated in the Da Lat project need to have more democratic discussions and seriously consider public opinion. “Development is inevitable, but its conceptualization and orientation have to be carried out in a transparent, democratic manner. A city can transform, but it should not leave behind the people who had helped create it,” Quang said. Cool Da Lat has always been a popular destination in tropical Vietnam. Dubbed Little Paris thanks to its rich French heritage, it is threatened by a construction rush, many people fear.